Mom Neetu Wishes Ranbir A Happy Birthday With An Insta Post That Has Alia and Her Mom! While the heartthrob of Bollywood, Ranbir Kapoor celebrates his 36th birthday today, wishes are pouring in from all across the world on social media for the star. From his family, his sister Riddhima Kapoor Sahni was the first one to wish the actor on Instagram, followed by mom Neetu Kapoor. Now as we all know that Neetu Kapoor loves Alia Bhatt and she made her birthday wish for Ranbir super special by including Alia in it as well! 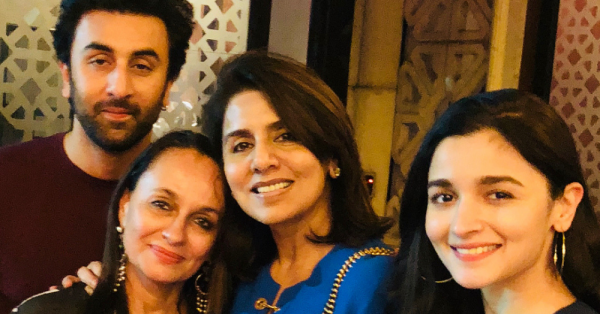 The actress posted a photo with Ranbir, his ladylove Alia Bhatt and Alia's mother Soni Razdan in the frame. The caption read, "Happy Birthday to my Friend Philosopher an Guide. Loads of love and duas. #lovehim #bestintheworld #wise happy birthday @rimosky." Should we call this yet another nod from the Kapoors for Ranbir-Alia? 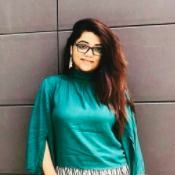 While Rishi Kapoor spoke about their relationship in a recent interview and gave his go-ahead, it is known that Neetu Kapoor had not approved of any of Ranbir's girlfriends before Alia. But this time, mommy is going all out to welcome her to-be bahu into the family. Alia seems to have won Neetu's heart and two are often spotted together. Wish you a very, very happy birthday, Ranbir Kapoor.